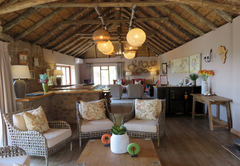 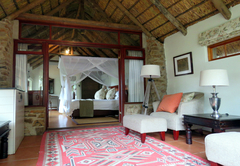 Woodbury Lodge is a 4 star graded hotel offering Amakhala accommodation in 8 guest rooms. 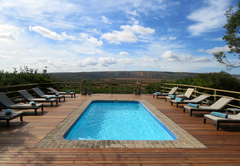 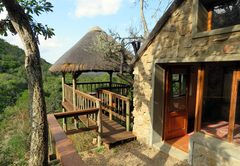 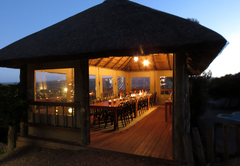 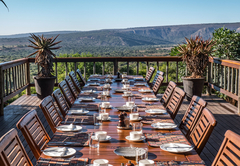 Woodbury Lodge is spectacularly set on against a cliff above the Bushman’s river valley on the Amakhala Game Reserve. 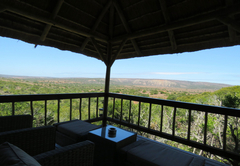 Situated in the malaria free Frontier Country in the Eastern Cape of South Africa, this breath taking reserve offers exciting sightings of the Big 5 and a variety of other species. 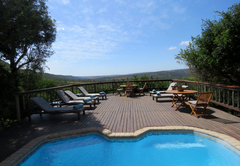 Woodbury Lodge is a 45 minute drive East of Port Elizabeth. 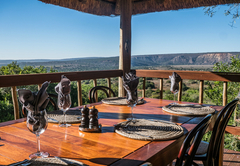 Situated on a cliff Woodbury Lodge provides incredible views of the reserve and offers the perfect vantage point for watching the game meander in their daily activities. 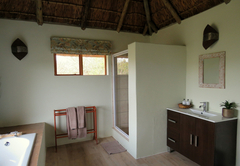 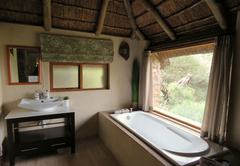 Guests are accommodated in six comfortably appointed stone-and-thatch sleeping lodges, each with air-conditioning and en-suite bathrooms. 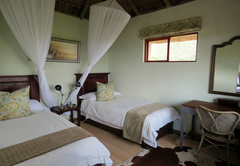 Woodbury is great accommodation for families and has two family suites. 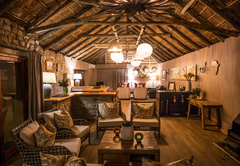 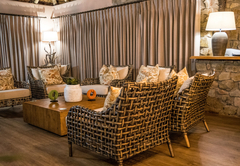 The lodges are secluded from the public areas and each house a private outdoor viewing deck that provides the perfect intimate setting to enjoy the African landscapes. 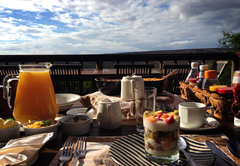 All meals are freshly prepared at Woodbury by our resident chef and are enjoyed from the communal living spaces, all offering amazing views. 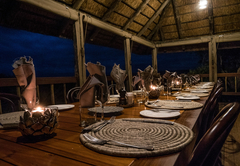 All of our delicious meals are included in your stay and are enjoyed in full African tradition. 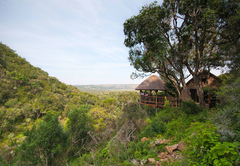 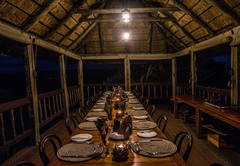 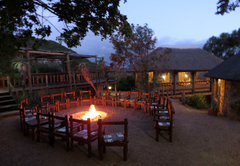 Amakhala Game Reserve is steeped in a rich conservation ethic that has been handed down over the generations. 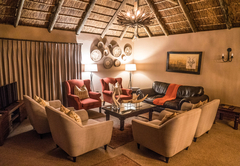 The reserve has a unique conservation initiative that allows animals to be re-introduced to the area where they once roamed freely and thus conserving our natural heritage. 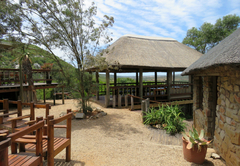 Before the Game Reserve was formed the land was used to farm sheep and cattle. 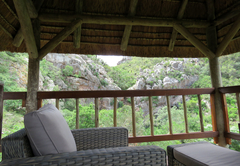 The challenge has been to re-introduce the original flora and fauna species to the area. 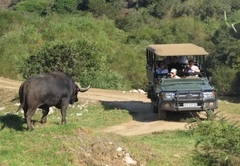 During your stay you will be able to partake in two game drives held daily on our Big 5 game reserve. 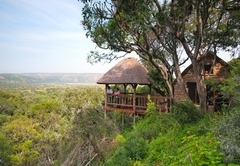 The game drives are conducted by our experienced rangers and will leave you in awe of the diverse vegetation and spectacular scenery that abounds on the reserve. 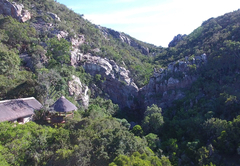 The reserve also offers a tranquil river cruise on the Bushman’s River that is known for its spectacular birdlife sightings. 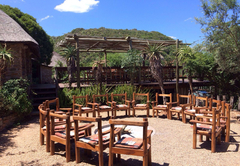 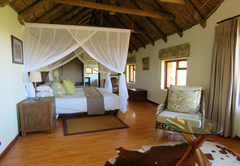 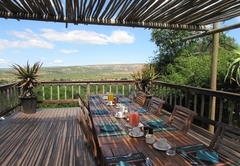 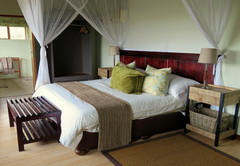 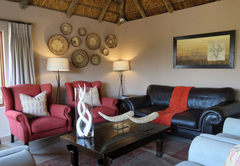 Accommodation, meals, selected house beverages and all game drive activities. 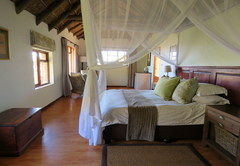 Premium branded beverages, transfers, telephone calls, laundry and any items of personal nature. 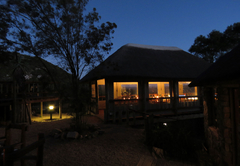 Response timeWoodbury Lodge typically responds to requests in 5-10 minutes. 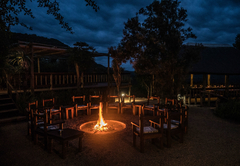 Child policyChildren of all ages are welcome however children under the age of six are not allowed on regular game drives.